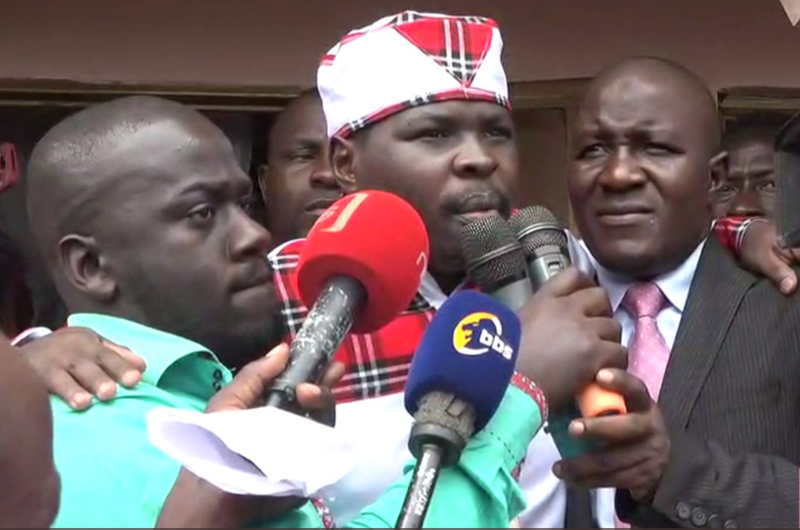 KAMPALA – The lawyer of Mityana Municipality MP Francis Zaake has described as panicky and unlawful the decision by police to grab the legislator from the plane after arriving at Entebbe International Airport and driven to his home in Mityana District. Zaake, who has been in India for over a month, arrived at Entebbe Airport at around 7.20am on Thursday morning but police did not allow him to get off the plane. They immediately picked him and put him in a waiting police van and drove off to Mityana, leaving his wife Bridget Namirembe stranded and bewildered. “Mr Zaake reached the airport when it was approaching 7 am but they didn’t allow him to get off the plane and took him off. We had planned to take him to Mityana for prayers,” he said.